The first time I saw a Dyson Air Multiplier Fan in photos, I honestly didn't know what kind of contraption it was. Of course the word "fan" and the succeeding images explained it eventually. If you knew me personally though, you wouldn't expect me to consider it for our own home use essentially because it would be too modern for my taste. A couple of years ago, that would have been a precise guess but we're talking about now so these people who claim they know me, may just be in for a surprise. My family and friends often refer to me as a contradiction of sorts. My taste in music and clothes favor the classic. My principles are generally old-fashioned. My choice for home design and furnishings slant towards heritage homes and antiques. For all intents and purposes, I feel like a remnant of the past. Why a contradiction? Because more than a year ago, I became a full-fledged blogger. My friends were teasing me about being techie all of a sudden. I was talking about blogging, social media, SEO, and stuff like that. From a writer who had a hard time letting go of the manual typewriter, I was switching from a desktop to a laptop computer in one sitting while looking at the smartphone on the side, all in the name of blogging and not exactly a lifestyle change. Change is inevitable. Embracing change for the better is good and that is how my recent decisions have been made from the mundane to the most important ones. While before I always stick to the traditional choices, I am now more open to innovations especially with products which can make living more pleasurable and engaging. When I saw these pictures, I knew something new was up. 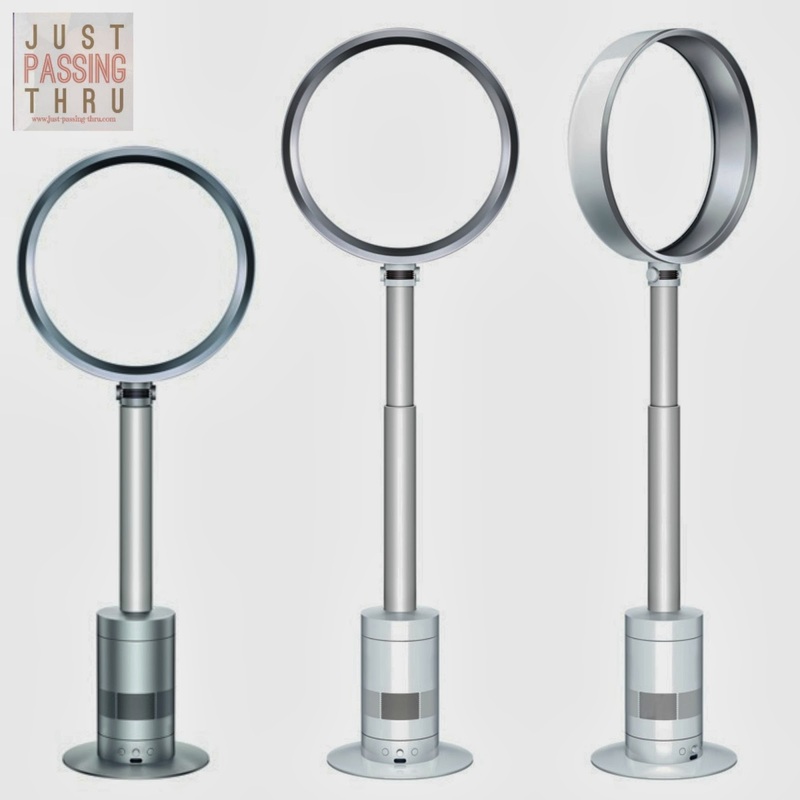 The Dyson Pedestal Air Multiplier Fan or the AMO3 Pedestal was recently introduced in the market. Compared to the original desk fan (AMO1), the floor standing machines produce 50% greater airflow since it is specifically engineered for use in larger spaces. It comes with a magnetized remote control, conveniently locating itself to the machine. The popularity of the Dyson Air Multiplier Fan is credited to its provision of smooth, non-buffeting air. While air-conditioning provides little to zero ventilation, the Dyson fan draws in and multiplies air to maximize airflow. With the same advantage of having no spinning blades like its predecessor, the AMO3 Pedestal comes with the additional advantage of being able to set the height and the angle plus easy adjusting and tilting. The Dyson story started with a man who believed he could design products much better. This man was James Dyson and he likes things to work better. He eventually succeeded through inventive thinking and many years of work and thousands of prototypes later. He invented the bladeless fan where the air from around and behind the machine is drawn into the airflow through the physical processes referred to as inducement and entrainment. It is a fact though that there are over 100 patents pending on the technology used in the Dyson Air Multiplier Fan. Dyson is also credited as having invented the bagless vacuum cleaner. The air that is accelerated through an annular aperture set within the loop amplifier creates a jet of air. This air will pass over an airfoil-shaped ramp to channel its direction. If that description proves a technical mouthful, suffice it to say that such an invention made it possible to have the usual benefits of an electric fan without the blade that can be both a noise and safety concern especially for children. 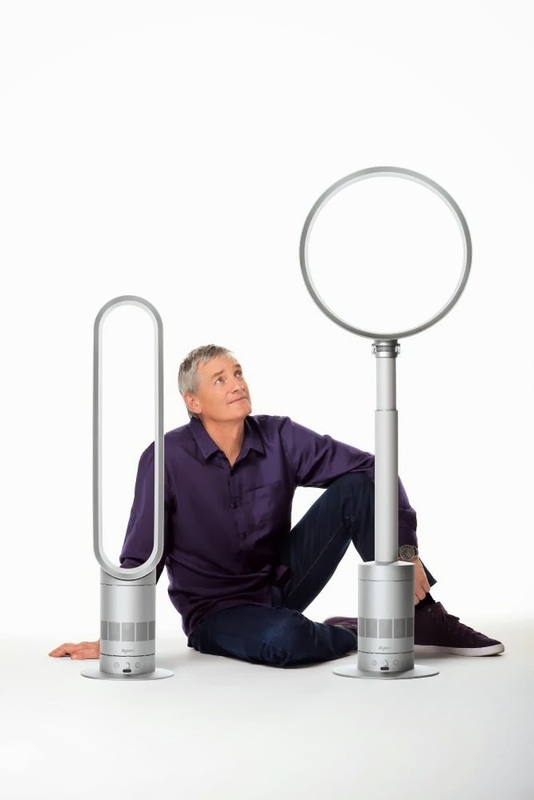 I found out that the AMO3 is now available through the Dyson website and selected design stores stores. There is also another option which is the AMO2 Tower Fan, shown above, together with the AMO3. The deskfan (AMO1) retails at PHP 22,000 while the pedestal fan (AMO3) retails at PHP 28,500. 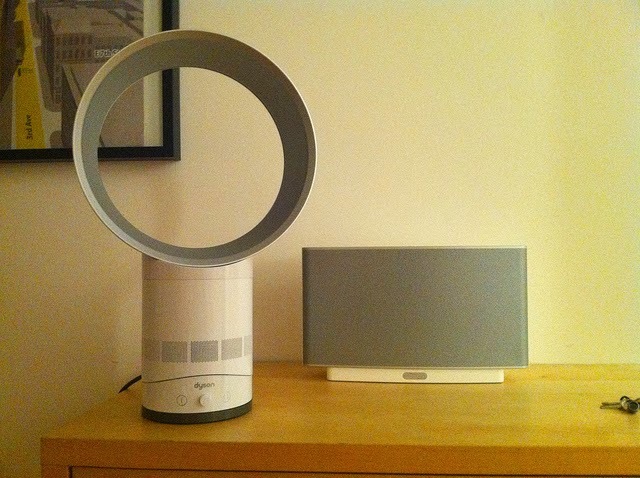 That said, the Dyson Pedestal Air Multiplier Fan will surely be seen by many of us as a pricey purchase. I don't usually indulge in such kind of purchases myself but for this I'd gladly make an exception, if budget permits. I have been changing stand fans very often in our home and have sunk in quite a sum in totality. Maybe it's time to try better versions of the regular appliances we have. Who knows, we might just surprise ourselves and end up saving some.